If I had to choose one type of makeup product that I can't live without - My answer would be "LIPSTICK". Lipstick can make me feel more confident, beautiful and more appealing. But did you know that in the past, I was afraid of using lipstick because I was told that it is not safe and it can darkened the lips. Given the fact that many of us love makeup but most of us have no idea that some of our favorite products contain harsh chemicals and potentially harmful ingredients. Most commercial brands are toxic, poisonous and harmful. If you try your lipstick or lipgloss and you are dissatisfied for any reason, (which I doubt you will be dissatisfied) you can send it right back to them within 30 days of receipt and they will refund 100% of your original purchase! You'll enjoy your simple policy: no gimmicks, no hassles and no additional fees. If you are looking for the hottest hot pink...and HERE it is! Combining all the most brilliant of bright pink hues: fuchsia, magenta and hot pink! Bright Medium Pink with super subtle shimmer. Bright - bold - fun...just like ME!! ♥ Floral and Marshmallow scent that smells yummy! 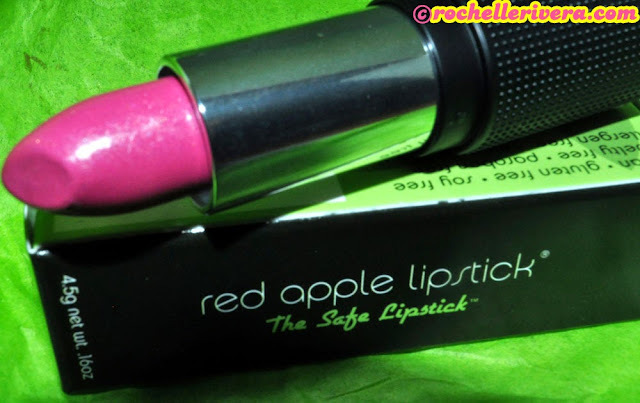 ♥ Best Lipstick I've tried so far, I am so in love with it! ☼ Not available in the Philippines, but you can order safe online. ☼ International shipping cost can be a bit pricey. OVERALL: If you ask me, definitely my favorite lipstick is now from Red Apple Lipstick. 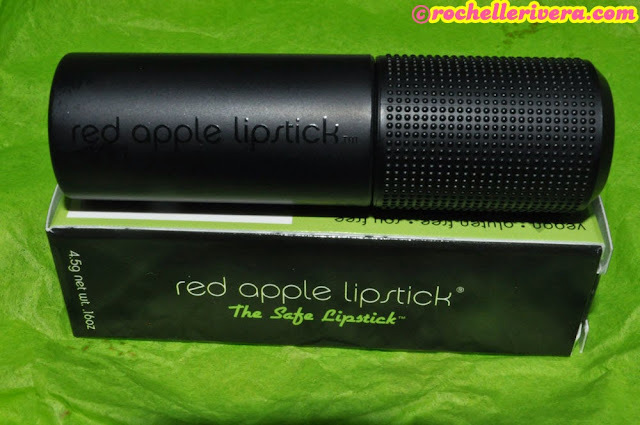 The color is gorgeous and I really felt my lips are moisturized, I am definitely saying good bye to chapped and dry lips with Red Apple Lipsticks (RAL). I can wear it longer than the average lipstick. The best part of it all is that is safe to use and I don't need to worry about the side effects of wearing lipstick. It is definitely worth the price. TIP: Red Apple Lipstick is the only way to end chapped lips. WILL I BUY THIS AGAIN? 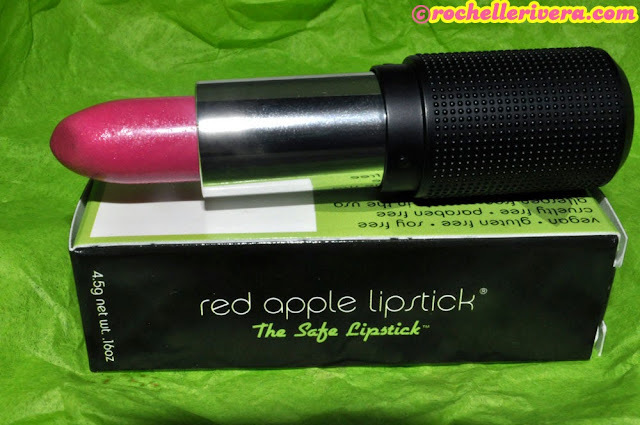 Yes, I am definitely addicted to Red Apple Lipstick products and that I have a shipment on the way. WILL I RECOMMEND THIS? I highly recommend it! What do you think of Red Apple Lipstick? Have you tried Mineral Lipstick Before? COPYRIGHT: All images displayed on this photo are taken by ME, Copyright Protected, Any unauthorized reproduction of images displayed on this site in any form is strictly forbidden. Please ask permission and contact me first if you wish to use it on your site or anything you need it, making sure that credit/link to my site. (www.rochellerivera.com). You maybe subject of copyright protection Under the act. DISCLAIMER: All products that are mentioned and reviewed here on my blog are of my own personal opinions. As with all products, any products mentioned here should be used at your own discretion and with caution. 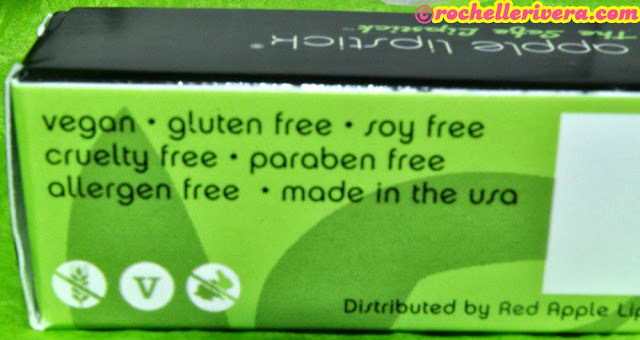 wow gluten free and paraben free. this is an ideal lippie to try! That is nice lipstick. 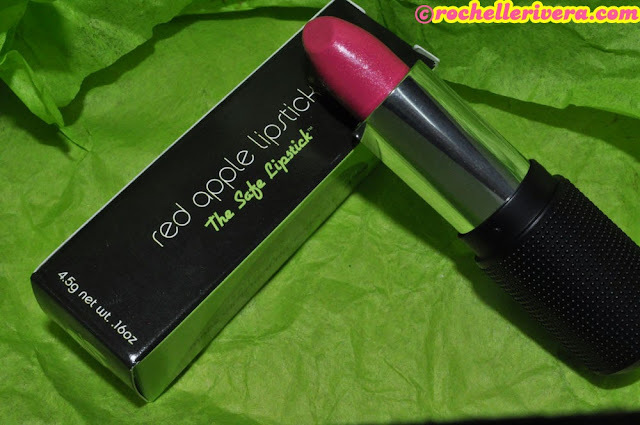 I can not go out either, if I am not wearing lipstick,, that is a must try one, but geehh,, pricey pala..
Im so jealous, hehe buti pa sayo Ms Chelle, ganda ng color pink! its not for me kahit gustong gusto ko sya, hehe. I also hate chapped lips, that's one of my problem .. So sometimes kahit anong ganda ng lipcolor sayo kung chapped naman lips mo. bawas ganda points. I am a user of Avon lipstick also in Ruby Kiss shade. I love it because it lasts long and very attractive color. I feel that I am more pretty when Im wearing it. By the way, that Avon lipstick was just my prize from Fotoku app. God Bless you po. Aesthetic Science Clinic Turns 8!!! ONLINE BLOG SALE FOR #YOLANDA #HAIYAN Victims.